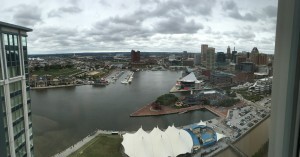 I am currently in Baltimore attending the SK Research Due Diligence Conference. Today we participated in a panel regarding Finra Rule 15-02, set to take effect April 2016. This rule will bring both clarity and perhaps pain to some investors in REITS, or Real Estate Investment Trusts sold by commission based brokers. Rule 15-02 will require investment sponsors and broker dealers to accurately reflect the investment value of the non traded reit, either through the net investment proceeds, or the appraised value, and not the original $10 a share. The general nature of the debate is centered around the true investment value vs what the client invested. When the products are sold, they are typically sold and show up on the statement for $10 a share for a number of years. What is seldom clearly communicated is that out of the $10.00 per share that the client invest, only $8.50 to $9.00 a share is actually invested in the underlying investments, the rest is eaten up by fees to the stock broker/financial advisor, his firm, the distributing company, etc. So… if only $8.80 or so is invested, why does it show up on the statements for $10.00 per share? Rule 15-02 will require new investments to show up on the statement at the net investment proceeds value, meaning the value going into the investments, or the net appraised value of the underlying investments. The rule is also retroactive, meaning any investments that were purchased recently, even at $10.00 per share, will be revalued to either of the two values we discussed above. This may be a potential “statement shock” for those investments. Companies such as David Lerner, Ameriprise and many other smaller broker dealers have traditionally supported these products, in part due to the above average commissions compared to other investment options. While these products are not inherently bad, they are loaded with fees that are typically poorly explained to the investors. As an Registered Investment Advisor who believes in alternative assets, we do recommend these types of products to some of our clients, however we purchase either load waived, or institutional share classes that strip out and waive many of the fees discussed above.